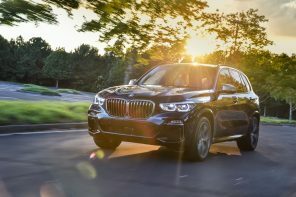 Official BMW USA: Release BMW of North America today announced that 2009 and later model BMW vehicles (excludes X3) feature BMW ‘s unique “Risk of Severe Injury ” calculation when equipped with the BMW Assist(TM) system. If an accident occurs, this BMW-exclusive system collects data from on-board control units and transmits it automatically to the BMW Assist response center. There, the data is evaluated using a unique algorithm to determine the probability of severe injury. Rescuers can now be informed not only of where an accident took place, but also the risk of severe occupant injury. Following a severe accident, the first priority is to dispatch prompt and appropriate assistance to the scene. BMW Assist helps ensure rescue services are notified quickly and accurately. Now, using a predictive algorithm jointly developed with the William Lehman Injury Research Center, BMW Assist ‘s Automatic Collision Notification service has been enhanced to include more-detailed information about the injury probability and type of collision to help the local emergency services determine the most appropriate response team to dispatch. BMW introduced vehicles with Automatic Collision Notification in model year 2000. This service helps ensure rapid response after a crash by sending an alert promptly and automatically, including the accident location, and then establishing a voice call. More than 500,000 BMW vehicles are now in operation with this core BMW Assist feature. More data helps determine the best response In the event of a severe accident, the BMW Assist system will automatically transmit location and vehicle data to a response specialist. The specialist then communicates verbally with the driver to determine the condition of the vehicle ‘s occupants. Meanwhile, a second response specialist contacts the appropriate Public Safety Answering Point (PSAP) to request dispatch of emergency services, sharing the vehicle ‘s transmitted location, based on GPS coordinates and information obtained from the driver. This information can also be made available to the PSAP via a web site. To better understand the type of accident and possible extent of injuries, BMW Assist ‘s enhanced Automatic Collision Notification service takes into account a wide range of relevant data. Numerous sensors distributed around the vehicle shed light on the type of collision and the resulting probability of injury. The deployment status of various safety systems in the vehicle is ascertained along with front seat occupancy and seat belt engagement status for the front seats. This information makes it possible to identify and differentiate frontal, rear, side, and multiple collisions, and estimate the level of injury to occupants. A video with complete information on BMW ‘s enhanced Automatic Collision Notification service is available at www.bmwusa.com/news. About BMW Assist: BMW Assist provides the driver with services that enhance on-the-road security and convenience, for added peace of mind. The BMW Assist and Bluetooth® System is standard on all 5, 6 and 7 Series models, including the M5 and M6, and is included in the Premium Package or available as a stand-alone option on all other models. 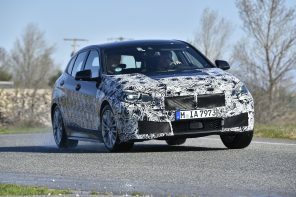 BMW includes the Safety Plan for 4 years at no additional cost. BMW is the only manufacturer that offers this duration of service as other manufacturers only include the first year. The BMW Assist Safety Plan is a subscription based service that is subject to certain limitations. The BMW Assist Safety Plan also includes Door Unlock and Stolen Vehicle Recovery services, which can save the driver time and money. MyInfo allows users to send business listings and street addresses with associated phone numbers from the internet, directly to their BMW. TeleService automatically notifies the BMW center when the vehicle needs service. A service advisor then proactively calls the customer to set up a convenient appointment and have the needed parts ready. BMW Assist subscribers can also enroll in the BMW Assist Convenience Plan (available at an additional cost of $199 per year) to avail themselves of BMW Assist concierge services; from finding the lowest fuel price or the best French restaurant in the area to information on flight arrival gates or times, as well as receiving directions, traffic and weather information. On most models produced September 2006 and later, a selected destination and its phone number can be sent directly to the BMW Navigation system and the subscriber ‘s Bluetooth – linked mobile phone, after a push of the Concierge menu option. New for most 2009 and later models is BMW Search, which allows online access to the Google Maps database inside the vehicle to quickly find a desired business with just a key word. The Convenience Plan also includes Critical Calling, a service that can connect the driver to a requested party via a response specialist in case their mobile phone is not in the vehicle or its battery is discharged. Although I like Horsepower and handling, this is something that could save your life.